When the final out was recorded on Sunday night in the San Francisco Giants’ World Series clinching win, baseball’s focal point was on two players: Buster Posey and Sergio Romo. Romo finished off the Triple Crown winner Miguel Cabrera with an unanticipated fastball while Posey received the season’s final pitch to erupt a night of celebrating. Romo and Posey were two of the 17 players that played for the Fresno Grizzlies at one point in their careers on the Giants’ 25-man roster. The list of 17 is a mix of draft picks, free agents and MLB Rehabbers, but nevertheless, the stamp of the Grizzlies was prevalent on this World Series run. Torture reigned in 2010. Every night for the Giants seemed like a tall mountain to climb during that season. In 2012, it was a team-wide never-give-up attitude that carried them to the end. This is not to suggest the 2010 version was a just a group of individuals, but this season, it felt as if each player on the 25-man roster had a moment to shine. Tim Lincecum, Matt Cain, Madison Bumgarner and Posey are the more well-known Grizzlies alums, but there are others with stints in Fresno during their careers. Each had a unique moment or moments that introduced them to fans of this band of characters. Before Xavier Nady drove in three runs in his first game with the Giants on September 1st, he played in 25 games with the Grizzlies. Nady was signed as a minor league free agent after being released by the Washington Nationals. The Nationals, of course, fell in the first round of the playoffs. Joaquin Arias recorded the final out in Matt Cain’s perfect game, nearly falling over in the process, but he also registered two RBIs in the Grizzlies first game of the 2012 season to help the team to a 3-0 win over Tucson. Arias was a member of the Texas Rangers during the 2010 season when Texas eventually lost to the Giants in the World Series, but Arias was traded to the New York Mets during the season. He had never played in the World Series prior to 2012 and spent most of his career in the minors. George Kontos was traded at the last possible moment before the start of the 2012 season to the Giants organization from the New York Yankees. He started the season in Fresno, appearing in 23 games and fashioning a 1.71 ERA. Once Kontos earned the Major League promotion in June, he never looked back. In fact, he became a valuable asset for the Giants in the playoffs. Kontos previously pitched in the bigs with the Yankees in 2011, but he did not make their playoff roster. The Yankees eventually lost to the Detroit Tigers in the 2011 playoffs after New York won 101 regular season games. 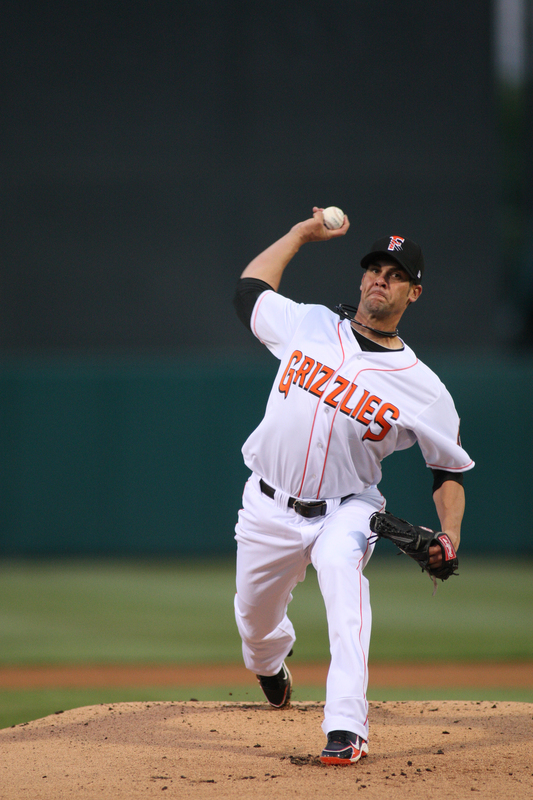 Ryan Vogelsong, an epitome of hard-work and perseverance, made his first appearance for the Grizzlies during the purple-and-black, home-games-at-Beiden-Field era in 2001. After being the Grizzlies Opening Day starter in back-to-back seasons in 2011 and 2012, he stood on the largest stage and consistently delivered standout performances in 2012 postseason. The Giants originally drafted Vogelsong in 1998 out of Kutztown University. It took Vogelsong many miles traveled, 14 different professional baseball teams and 15 years since he was drafted to taste the nectar of a World Series title. Santiago Casilla (played for the Grizzlies in 2010 and 2011), Guillermo Mota (2012), Barry Zito (2011), Hector Sanchez (2011-12), Brandon Belt (2010-11), Brandon Crawford (2011), Aubrey Huff (2012) and Pablo Sandoval (2011-12) complete the list of 17 Farm Grown stars on the Giants roster. When the Giants won the 2010 World Series, 16 of the 25 players on the postseason roster at the time played in Fresno (14 came up through the system while another two appeared with the Grizzlies on MLB Rehab assignments). Posey was one of only two three positional players on the Giants’ World Series roster in 2012 that was also on the 2010 championship-winning team (Huff was a starter in 2010 but a bench player in 2012). Sandoval, though, was relegated to a bench role in 2010, but he totally redeemed himself in a monstrous way in 2012 with an MVP performance. It is only fitting the likely 2012 MVP from the regular season paired up with the 2012 World Series MVP to guide the Giants offense, banking off experience (positive and negative) from two years ago. Two World Series titles in the last three years is quite an accomplishment. The Giants are now the first National League team to claim MLB’s championship in two out of three years since the Cincinnati Reds did so in 1975 and 1976. The Giants deserve each title, but each crown should serve as a moment of pride for the Central San Joaquin Valley community as well. It is one of the few regions in the country that can say they were able to see the World Series champions of tomorrow, today. Romo threw pitches for the Grizzlies before he jumped to the Majors. 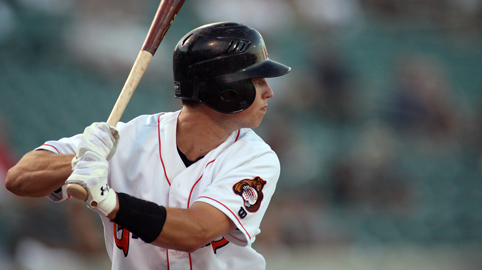 Posey was a backstop at Chukchansi Park before a catcher at AT&T Park. The list goes on and on, and we should all be happy to be a part of it all. Fresno is where champions are grown. If you’ve spent any significant time on the internet, reading newspapers, watching television, or simply existing in the world outside of your home the past week, you have no doubt been subjected to countless rehashings and reduxes of this generation’s national tragedy, as everyone from the President to Al Michaels gave his or her two cents regarding the events that took place in New York, Washington and a field in Pennsylvania 10 years ago. For whatever reason, be it altruistic or self-serving, many people, especially those in the public eye, feel the need to tell the world what that day meant to them. Hopefully this tale will help in the way in which those are intended, by providing perspective on where we were then, where we are now, and how we can continue to learn and grow from the hardships in each of our lives. Ten years ago, I was working my first baseball job. A lowly intern, just graduated from high school in the Bay Area, I had no idea how lucky I was to be working for my hometown team, the Oakland Athletics. While the Seattle Mariners were running away with the American League West on their way to an astonishing 116 wins that season, a very solid Oakland team got even stronger with the acquisition of Jermaine Dye from the Kansas City Royals shortly before the trade deadline. That team would go on to win 102 games and the American League Wild Card, earning a rematch with the Evil Empire, the hated New York Yankees, who had ended the upstart Athletics’ season in the opening round of the playoffs the year prior. As the regular season wound towards its conclusion, I began preparing to leave the house for the first time, my freshman year at UC Santa Barbara to begin in late September. In my third-to-last day of scheduled work with the team, the A’s jumped out to an early six-run lead to back Barry Zito, who took a shutout into the ninth in an easy, 7-1 win over the visiting Texas Rangers. After transcribing some post-game quotes, I headed home as I always did, winding my way north from Oakland, around the mouth of the Caldecott Tunnel and through the Berkeley hills to my parents’ house, another night in the books. 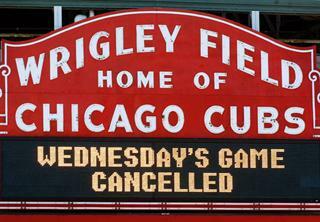 With air travel shut down, there would be no baseball. Little did I know, but there would be no final two days of work. I awoke, as many on the west coast did that Tuesday morning, to frantic relatives, to confused silence in front of images of a smoking building, to a second plane hitting the second tower, and to my country’s perceptions, politics and fears shifting forever. Most of the final parts of the fallout came later, not instantly within the moment. I was still prepared to go to work that day, but I never did. Nobody did. For reasons that I suppose I understand more now than I did then but still fail to fully accept, there would be no baseball for the time being (it would turn out to be a week). Everything was suddenly on hold— oh, and by the way, enjoy your freshman orientation. So, off I went to college. I remember the first moment in which I began to feel normal again was watching the team in Game 1 of the ALDS on television in Isla Vista, when my A’s rolled into Yankee Stadium and conquered Roger Clemens. I began, slowly, to reconnect. Another road win in Game 2 and, suddenly, they were coming home with two chances to put the Bronx Bombers away. Still, it felt somewhat distant, somewhat remote. I wasn’t able to see anything in person, as I had all season. It was closer to watching events like those that had unfolded a couple of weeks prior, through the television. man in the American League, thanks to Bengie Molina— thundered around second and third, chugging for home as the potential game-tying run. Shane Spencer’s throw from right field missed cut-off man Tino Martinez, and was bouncing slowly towards home plate, losing momentum with every hop. Suddenly, Derek Jeter appeared out of the ether, more than 100 feet out of position, gathered the ball with his mitt, transferred it seamlessly to his open hand, and flipped it to the catcher Posada, who slapped the tag on the back of Giambi’s knee immediately after the outfielder crossed home plate. Of course, that last part is open to discussion. 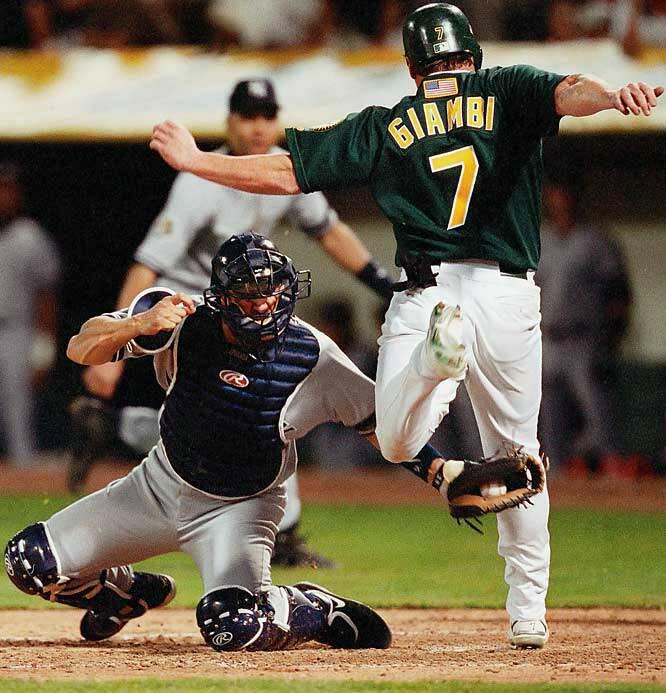 All that matters is that home plate umpire Kerwin Danley called Giambi out, as baseball’s rulekeepers are wont to do when a defender makes a spectacular play. Anyone who works in baseball will tell you: the tie, most certainly, does not go to the runner. The A’s never recovered, losing that game and the final two of the series, as the Yankees went on to what seemed to be a predestined World Series appearance, dispatching that 116-win Mariners team in just five games in the ALCS. But the title would not come. The team that had won three straight World Series, and four in five years, was beaten in the unlikeliest of ways. It wasn’t the story it should have been. It was far better. 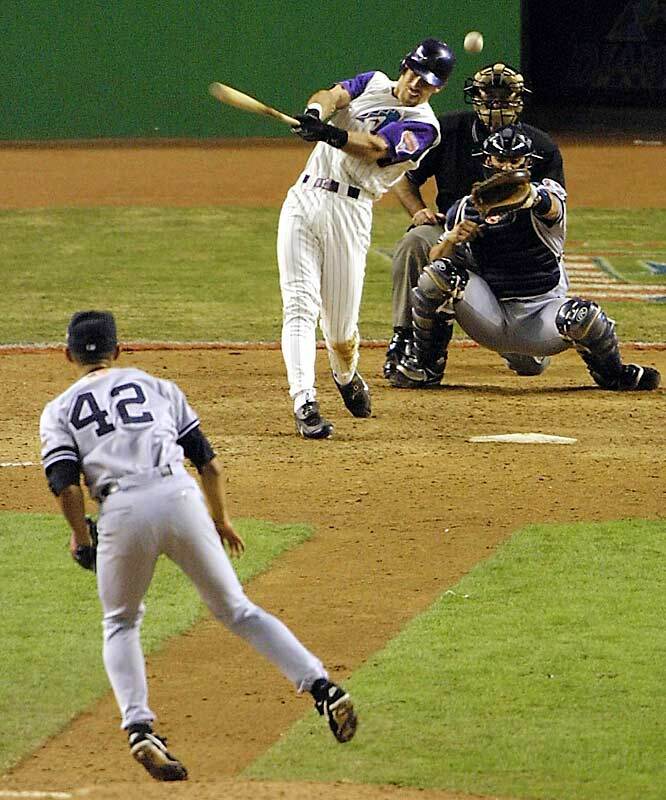 It wasn't pretty off the bat, but this Luis Gonzalez basehit won the World Series. jam-shot floater that drifted heroically over the outstretched mitt of, fittingly, a leaping Derek Jeter at shortstop, the Diamondbacks saved baseball from a scripted fate, giving the rest of America the greatest World Series in years, decades, maybe ever. With all due respect to the ’91 Twins and the ’86 Mets, it was certainly the most electrifying Series since Bill Mazeroski beat— who else— the New York Yankees with a home run in Game 7 all the way back in 1960. I remember feeling that the burden that was lifted as the Yankees lost was almost as fulfilling as a championship for the A’s would have been. I can’t honestly say that I knew it at the time, but there was certainly the sense that this was the end of the Yankee dynasty, of a half-decade of dominance in the sport, the spawning of a new age of baseball. Yes, New York had suffered from 9/11, but there was almost a self-righteousness to New Yorkers’ ownership of the event, as if the other two planes were less significant, as if the rest of the country was not as deeply affected by the events. It is the same smugness that leads many of us around the rest of the country to our general distaste for many things associated with our nation’s largest city. Ironically, it was the nation of fans coming together to celebrate the defeat of the quintessential New York team that sent off celebrations and led to a marked feeling of relief, personally. The good guys had not won, but neither had the bad guys, and sometimes that was good enough. Still, I had become disenchanted, to a degree, about the idea of a career in professional sports. What difference did it all make in the grand scheme of things, if people I’d never met, who knew nothing of my life my beliefs, could send planes crashing into buildings based on some misguided ideological principles and bring it all to a halt? While I had experienced my baseball catharsis, I had never gotten the chance to mend professionally. As such, I did not become involved in baseball again on a professional level until 2008, three years after I had graduated from college. It wasn’t until I had the chance to see the working world first hand once again that I fully understood the value in professional sports, that the outlet they provided was more than just a simple, temporary escape, but a way for us to come together as cities, and even as a nation. Nevertheless, it is not inappropriate to ask another question after the last ten years: has baseball learned anything? The sport has enjoyed nine different champions in the last 10 years, but for every small market playoff success story like Oakland, Tampa Bay, or Minnesota, there is a lack of progress in the real issues of the differences between the haves and the have-nots. Baseball is beautiful because it rewards those able to outsmart over those who simply outspend, but only to a certain degree. Ten years later, Moneyball may have worked better for the rest of baseball than it has in Oakland. 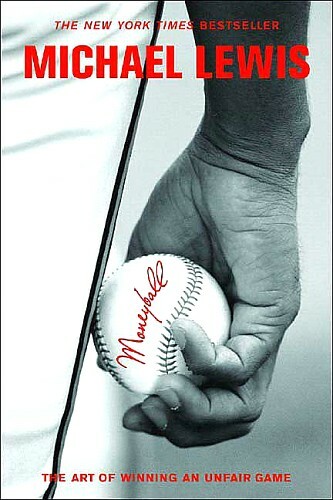 It is bit bizarre that Moneyball— the story of the haves, the have-nots, and the evolution of baseball’s front offices as a result of those Oakland teams I was privileged to be a part of— makes its way to the big screen as the pennant races heat up. Of course, the Yankees still own the biggest payroll and best record in the American League, while Oakland is coming off a disappointing season that leaves A’s in a perpetual state of rebuilding, still waiting for a decision from Major League Baseball that will allow them to seek a more prosperous future. Until then, the A’s (as well as the Tampa Bay Rays and others) will rebuild; they will make do with what they can. Their motto— Green Collar Baseball— is akin to Oakland native Van Jones’ Green Collar Economy. It’s a play on words, sure, but also more than that. It is a different way of looking at a team and trying to measure success by building something sustainable. Meanwhile, the men in pinstripes, the mark of bankers and other money men, continue to try to outspend in order to succeed. Then, of course, there is the issue of steroids. We watched some of the great players of our generation dragged into courtrooms in the twilights of their careers. Gone were the fearsome sluggers, effortlessly swatting roundtrippers out of ballparks across the country, replaced by broken, hunched over shells of those titans, nearly unrecognizable. Alas, we cannot change the free-market nature of baseball. But, thankfully, the sabermetric movement has broken through in the sport, and those who cling desperately to out-of-date methods and analysis are dying out. At the same time, we reconcile that the accomplishments of our larger-than-life heroes— McGwire, Bonds, et. al— were not as glorious as we may have originally thought them to be. But they were still great players, and we will continue to be able to enjoy watching the very best in the sport now, and into the future. We cannot go back and change our tainted past. We can only hope to learn to learn from our mistakes, to forgive, but not forget. By remembering what went wrong, hopefully we can educate the next generation to avoid our same mistakes. Sometimes it’s more important to fight the good fight than to achieve certain victory. For even in the individual victories of a single game, or a division race, or even the World Series, life always goes on. And hence, following our great losses, there is always hope for the future, in baseball and in life. The Giants took a trip out to Surprise yesterday and handed the Rangers the second loss in as many games between last year’s World Series participants this spring. San Francisco continues to look particularly sharp here in Arizona, compiling a Major League-best 14-5 overall mark to this point, even with today’s loss to Milwaukee. 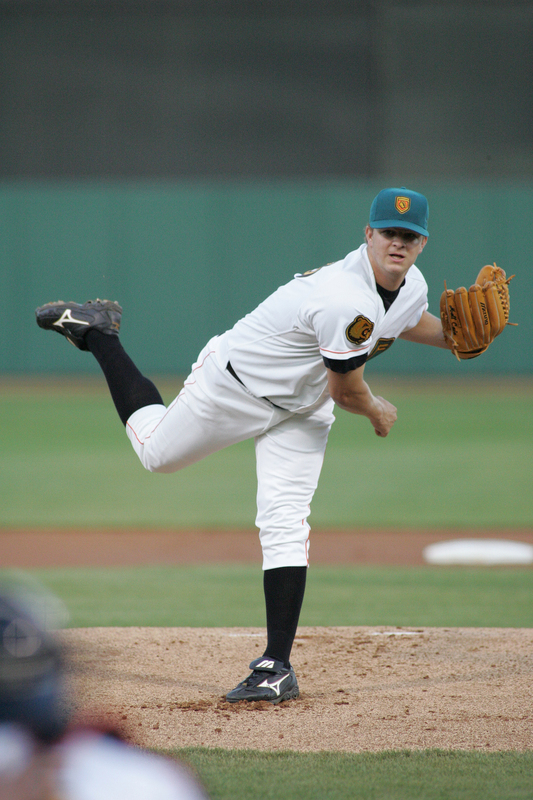 Doing his part along the way has been 2010 Grizzlies reliever Steve Edlefsen, who has gone 1-0 with a save and has not allowed a hit, walking three and fanning five over 5.2 scoreless Spring Training innings. Before this afternoon’s matchup with the Brewers, I had a chance to sit down with “Eddy”, and we chatted for a bit about his tricky name, his eventful offseason and a quick look ahead at 2011. Q: Have they been getting your name wrong in spring so far? A: On the loudspeaker they’ve doing an ok job. I’ve gotten it butchered here and there, but it hasn’t been too bad. Q: It seems like you’re hitting your stride early on. How has everything felt so far? A: I’ve felt good, you know, I’m just trying to get my legs under me, get my arm slot figured out. So far it’s gone well, I just want to stay (in Major League camp) as long as I can, hopefully put some pressure on these guys at the end of Spring and we’ll see what happens. Q: This was a big offseason for you– you got married and you were added to the 40-man roster. A: It was an exciting offseason, but it was a quick offseason. I feel like it was just a couple of weeks ago that we were packing up our stuff in Fresno. It was great to be added the 40-man, it’s an honor, it’s something you strive for. It’s a start, it’s not exactly where I want to be, I want to be on the 25-man. But it’s a good point in my career and it was exciting to hear that, and obviously getting married was a blessing and a great time in our lives. Q: You were an All-Star for the Grizzlies last year, but struggled with some injuries. Do you still feel like you have something to prove this season? A: Yeah, I just want to build off (last year), is what it comes down to. In this game you have to prove yourself every day, so I always feel like I’ve got something to prove. But I’m excited with where I’m at, Spring Training’s gone well so far, so I just want to keep trying to throw well and keep trying to be consistent.